2. I am biased. I absolutely love Banks, so I went in to this book expecting to like it. She didn't disappoint either. I love all of these characters. 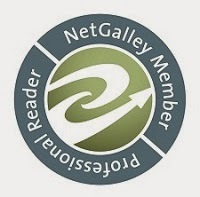 They are developed, complex, loving, but not without flaws and it's those flaws that make them so awesome to read. Joe is Nathan's twin. He has kind of been the odd man out because he loves his single status. While he doesn't hate that his brothers have found their forever women, Joe still maintains that he's happy and doesn't need to be with anyone. Rusty is an amazing sister. Not only is she brilliant, but she's an amazing hacker as well! She has been living in the shadow of her brothers and their wives for so long that she decides that she needs to strike out on her own. But when her friend reaches out to her, she does the only thing she can think of – she saves her friend's life. Zoe is sweet, innocent, and naive. She is running from people who seem to think that she has value – to her father. But Zoe knows that despite who her father is, she has never been a person of value. Rusty and her have devised a way for Zoe to hide, regroup, and, hopefully, never have to see the people in her life that she's running from again. Joe is immediately intrigued by Zoe – not necessarily in a positive manner. But when he begins to see who she is, what she's about, and how much she has been hurt, his protective instincts kick in and he does all he can to make Zoe smile. The entire Kelly clan has their hands in this book. Not only are they protecting their own families, but the entire family overall. When things go sideways, everyone pulls together to figure out how to move forward. Joe will stop at nothing to prove to Zoe that she's worth loving and Zoe will wish so hard for a happy ending. I read this story in one sitting, because I just couldn't put the book down. There is a side story that I can't wait to see more of – Sean and Rusty. Their story has been building and it made me laugh, cry, and feel so much sadness. I am so looking forward to seeing what comes next! 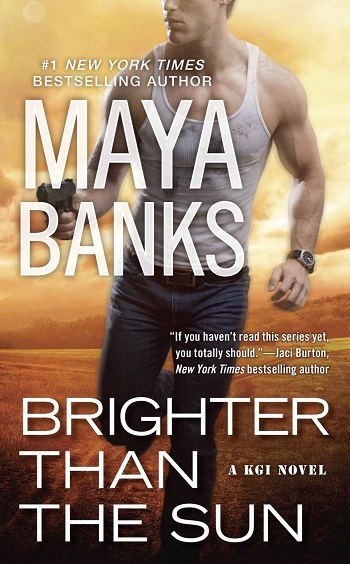 Reviewers on the Wicked Reads Review Team were provided a free copy of Brighter Than the Sun (KGI #11) by Maya Banks to read and review.